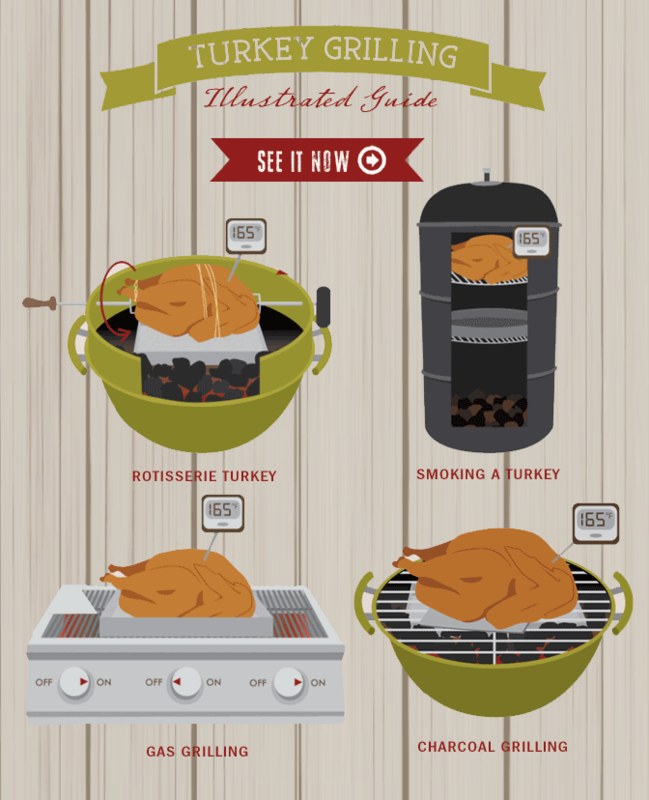 If you'd like to step away from the traditional oven-roasted turkey this year and try grilling just follow this fix.com helpful turkey grilling infographic to make this year stress free. Whether you're using a charcoal or gas grill, smoking it or using a rotisserie, we've got you covered. Grilling a turkey has never been so easy!